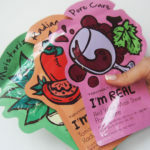 Let’s test an incredibly popular sheet mask from Korea packed with snail secretion filtrate. A classic Korean bestseller. 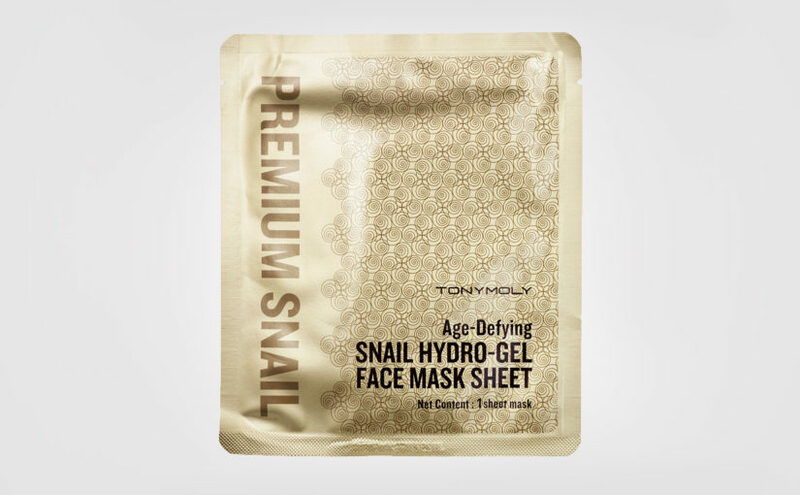 Here’s my review of Tonymoly Age-Defying Snail Hydro-Gel Face Mask Sheet. 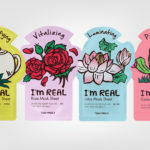 Tonymoly Age-Defying Snail Hydro-Gel Face Mask Sheet is a classic Korean sheet mask packed with snail secretion filtrate. An incredibly popular bestseller in Korea and in Europe. This sheet mask is made out of a plastic / silicone material and it’s a so-called hydro-gel mask. 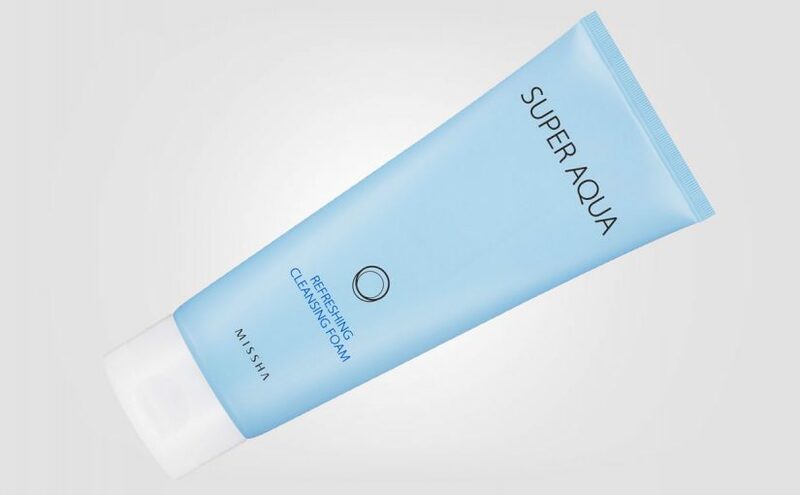 Packed with the key ingredient snail secretion filtrate, seaweed and sea algae extract, centella and traditional Korean botanical ingredients. 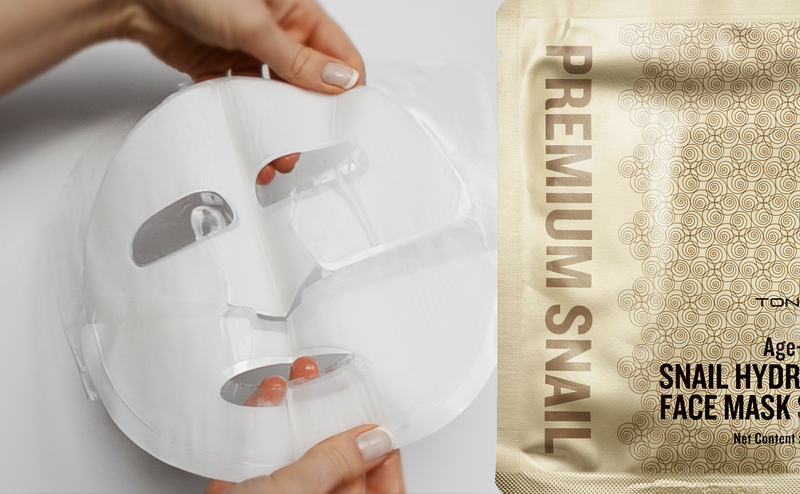 This sheet mask contains full 10,000 ppm healing snail secretion filtrate. Deeply moisturizing and nourishing, protects the skin barrier, repairing the skin making the skin firm with a rejuvenated effect and new radiance. This sheet mask come with 2 separate sheets. One for the upper part of the face and one for the lower part of the face. Tonymoly Age-Defying Snail Hydro-Gel Face Mask Sheet is my first ever 2-piece sheet mask I’m reviewing in this blog. 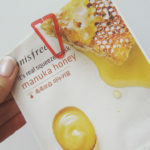 The sheet mask itself is made out of silicone or some kind of plastic material, I can’t find any further information about the material itself of this sheet mask. I had no idea what to expect. There are 2 pieces / sheet masks inside the Tonymoly Age-Defying Snail Hydro-Gel Face Mask Sheet packaging. They are folded together inside a protective transparent, rather sturdy plastic film with an additional softer white plastic film over each mask. 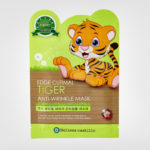 It’s quite easy to unwrap and remove the silicone masks from the protective films and apply the sheet mask to the skin. 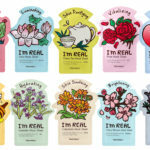 The sheet masks are completely drenched in lovely hydro-gel. 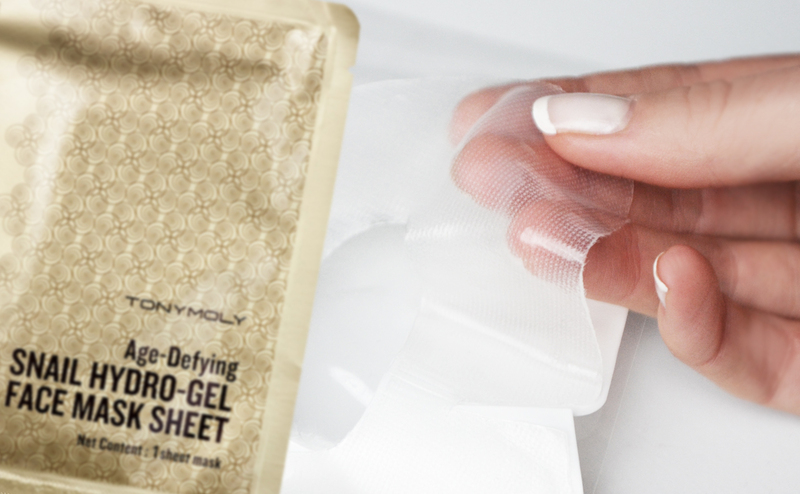 It’s acutally dripping some when unwrapping the Tonymoly Age-Defying Snail Hydro-Gel Face Mask Sheet. The silicone masks are sturdy and of a slightly elastic material. And they feel almost too good to be disposable one-use masks. The hydro-gel is a bit tacky and “slimy” but absolutely not gross or scary in any way I feel. My tip is to start by using the hydro-gel stuck on the protective plastic film and apply to the face and the decolletage. Then apply the Tonymoly Age-Defying Snail Hydro-Gel Face Mask Sheet on your damp face. You want to consume as much of the hydro-gel as possible right. I applied all of the remaining hydro-gel from the protective film on my neck, my decolletage and on the top of my hands. 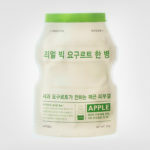 Tonymoly Age-Defying Snail Hydro-Gel Face Mask Sheet have an incredibly clean, and fresh scent. Kinda smells like a cleaning spray if you stick your nose down the packaging. The sheet mask feels refreshing and cooling on the skin throughout the whole treatment period. 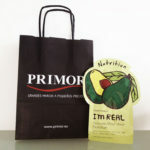 The silicone mask keeps the hydro-gel from drying and makes it absorb directly into the skin. Tonymoly Age-Defying Snail Hydro-Gel Face Mask Sheet sits tight to the skin throughout the whole treatment period of 30 minutes. The feeling on the skin is incredibly hydrating, cooling and refreshing. When I first applied this mask I actually felt somewhat itchy for a few minutes. I don’t know if it’s because the mask sits so close to the skin and that it’s plastic? 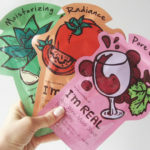 The sheet mask doesn’t feel corrosive or tingly at all, but very gentle to the skin. Tonymoly Age-Defying Snail Hydro-Gel Face Mask Sheet doesn’t dry during the treatment period as the silicone material is completely dense locking in all the hydro-gel. When I removed Tonymoly Age-Defying Snail Hydro-Gel Face Mask Sheet, I immediately saw results on my skin. I felt incredibly fresh and looked well rested. I suppose this is what they call “the Cinderella effect”. When all of the hydro-gel is absorbed, the skin looks plump, healthy and smooth, without being oily or greasy. Your skin looks incredibly nice using this mask. This is the perfect sheet mask to use before an important party, photography or wedding. I feel Tonymoly Age-Defying Snail Hydro-Gel Face Mask Sheet is suitable for all skin types in need of an extra boost. This sheet mask is not oily in any way. This is pure healing and deeply nourishing moisture in gel form. I therefore recommend this sheet mask to anyone who wants fresh looking skin with new radiance. Tonymoly Age-Defying Snail Hydro-Gel Face Mask Sheet is suitable for everyone, from oily and combination skin, to dry and mature skin. Tonymoly Age-Defying Snail Hydro-Gel Face Mask Sheet has a very good fit and 100% skin contact. Feels cooling and refreshing throughout the whole treatment period. And you do see visible results! This is a premium sheet mask in my opinion. Plus for an incredibly good fit and 100% skin contact. Plus because you actually see a difference in your skin. I like that all the hydro-gel is absorbed quickly after the treatment period without feeling greasy or oily afterwards. Minus for the high price 10 euros / pc and because all the protective covers waste a lot of product. I would say that the Tonymoly Age-Defying Snail Hydro-Gel Face Mask Sheet is primarily an intensive mask used occasionally when the skin needs an extra boost. The perfect sheet mask before a party / photography / wedding to get that Cinderella effect. An exciting and different high quality sheet mask on the next level that gives actual visible results. 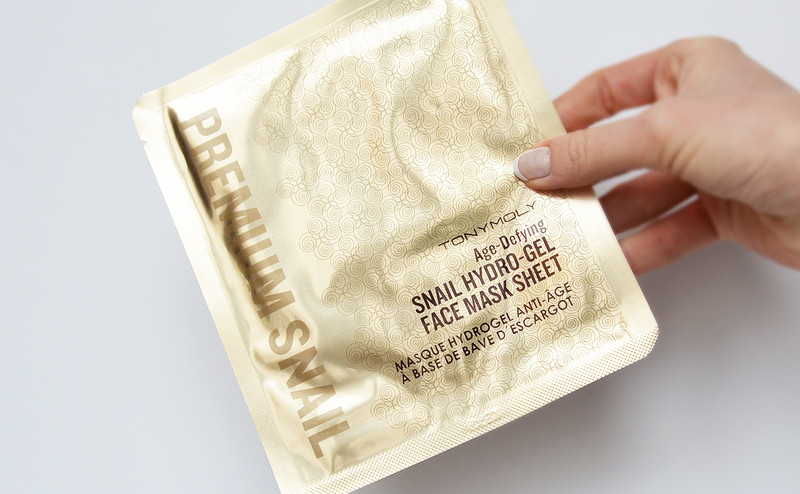 You immediately look well rested and fresh using the Tonymoly Age-Defying Snail Hydro-Gel Face Mask Sheet. I love this one! 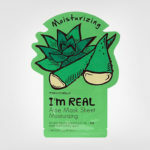 You kinda feel like a K-beauty pro using the Tonymoly Age-Defying Snail Hydro-Gel Face Mask Sheet. A Korean cult classic and definitely worth a try. Really good quality mask and visible results. Somewhat expensive but this is the perfect sheet mask when you want to look as fresh as possible. Good job Tonymoly, I’ve found myself a new favorite! Tonymoly Age-Defying Snail Hydro-Gel Face Mask Sheet is all about visible results when you want to look as fresh and well rested as possible aka the “Cinderella effect”. 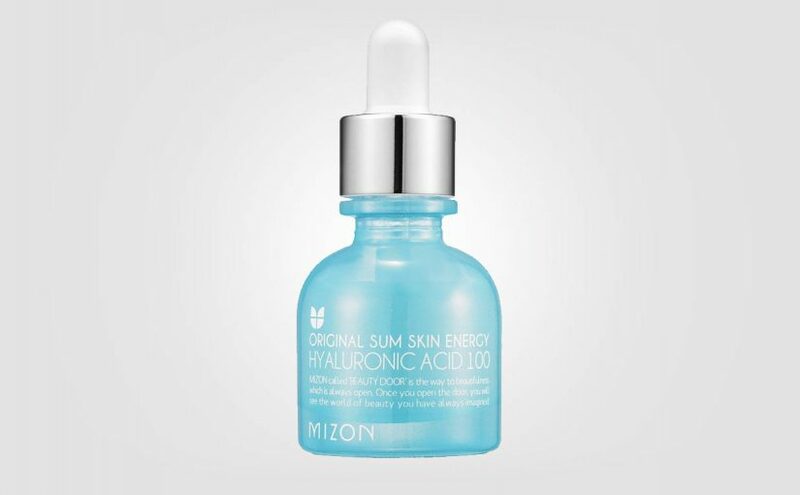 Formula: Contains 10,000 ppm healing snail secretion filtrate, algae and sea weed extract, centella and traditional Korean botanical ingredients. Deeply nourishing and moisturizing, protects the skin and gives plump, fresh looking skin with new radiance. 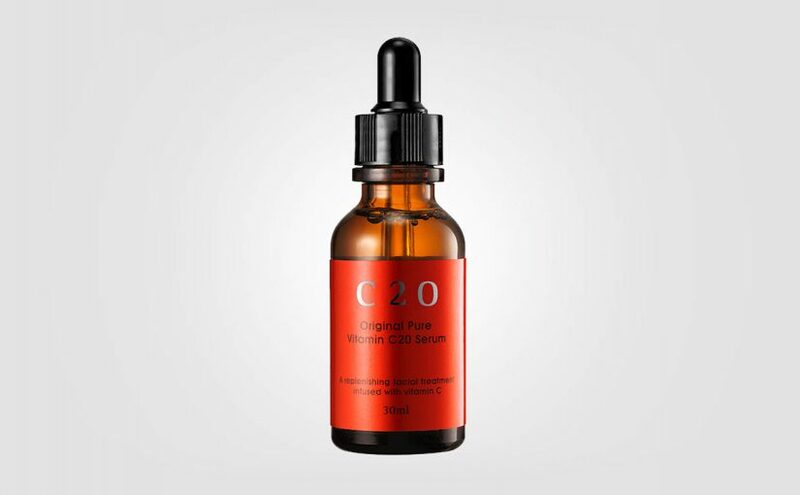 Skin type: ALL, especially mature skin and skin that needs an extra boost.